Chinese Vivo has announced a new Y series smartphone Vivo Y97 in China today. The device comes with AI dual rear cameras and comes with a bigger 6.3-inch display with slim bezels, 90.3% screen-to-body ratio. It supports up to 128GB of inbuilt storage capacity and comes with a water drop notch on the display. The Vivo Y97 is priced at 1998 yuan (around $290) and is currently up for sale in China via Vivo online shop. It doesn't have any fingerprint scanner available but it has an AI face unlock feature where it scans 1024 facial points to unlock the phone in just 0.1 seconds. Let's check out the specifications of the device in full. 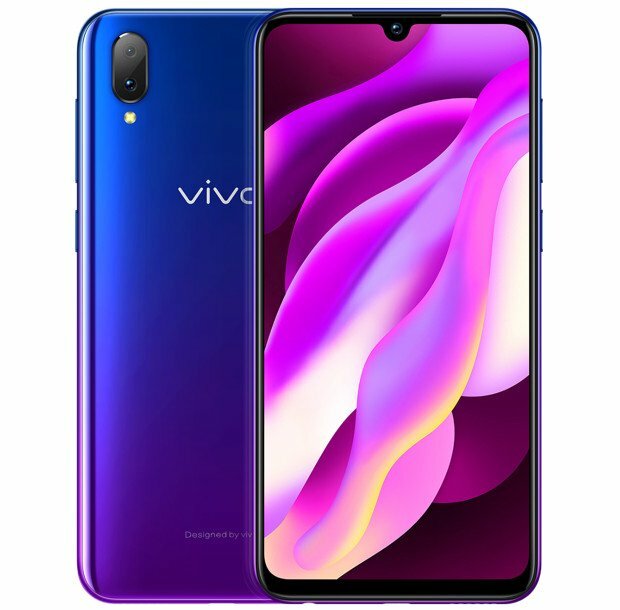 The Vivo Y97 features a 6.3-inch Full HD+ 19.5:9 aspect ratio display with 2280 x 1080 pixels resolution and is powered by an octa-core MediaTek Helio P60 12nm processor (Quad 2GHz Cortex A73 + Quad 2GHz Cortex A53 CPUs) with ARM Mali-G72 MP3 GPU. It comes with 4GB of RAM and 128GB of internal storage capacity that is further expandable up to 256GB with the help of a microSD card. It runs on the Funtouch OS 4.5 based on Android 8.1 (Oreo) OS out of the box and supports Dual SIMs as well. It carries a dual rear AI camera with a 16-megapixel camera with LED flash along with a secondary 2-megapixel camera. It has a 16-megapixel front-facing camera as well. It comes with a 3315mAh battery and supports connectivity options such as Dual 4G VoLTE, WiFi 802.11 ac (2.4GHz + 5GHz), Bluetooth 4.2, GPS. It measures 155.97 x 75.63 x 8.1 mm. There are no details available about its global rollout. Vivo recently launched the Vivo V11 smartphone that has an in-display fingerprint reader. It comes with a 6.41-inch Full HD+ Super AMOLED 19.5:9 aspect ratio display, an octa-core Snapdragon 660 14nm Mobile Platform (Quad 2.2GHz Kryo 260 + Quad 1.8GHz Kryo 260 CPUs) with Adreno 512 GPU, 6GB of RAM, 128GB of inbuilt storage capacity that is expandable up to 256GB with a microSD card, Funtouch OS 4.5 based on Android 8.1 (Oreo),Dual SIMs, a dual rear camera with a 12-megapixel Dual PD camera with dual-tone LED flash, f/1.8 aperture, 1/2.8″ sensor, 1.28 μm aperture, along with a secondary 5-megapixel camera with f/2.4 aperture, a 25-megapixel front-facing camera with f/2.0 aperture, a 3,400mAh battery with fast charging support, Dual 4G VoLTE, Wi-Fi 802.11 ac (2.4GHz / 5GHz) 2×2 MIMO, Bluetooth 5 LE, GPS + GLONASS connectivity options, in-display fingerprint sensor. It measures 157.9 x 75 x 7.9mm and weighs 156 grams.